Protecting your child from exposure to toxic lead is crucial to their lifelong health. Even a tiny amount of lead in your child's bloodstream could affect their Intelligence Quotient (IQ), their lifetime of academic achievement, and their capacity to pay attention. The most effective way that a parent, doctor, or guardian can prevent children from lead exposure is to stay away from toxic lead areas to avoid physical and airborne contact. The damaging effects of exposure to lead cannot be corrected. Rosenfeld Injury Lawyers LLC represents children who have suffered severe injury through lead exposure and other types of professional negligence. Our law firm has extensive experience in resolving cases for our clients suffer from many of the horrific side effects of long-term exposure to lead-based products. Our attorneys are available to answer any legal question on how to receive the compensation your family deserves if your doctor diagnosed your children with elevated blood lead levels. Should you have additional questions, we invite you to contact our office for a free review of your legal rights. According to the CDC (Centers for Disease Control and Prevention), approximately 12% of all children in major US cities have unsafe toxic levels of lead in their bloodstream. The CDC states that children with five micrograms or more per deciliter of lead in their blood are injured. The federal agency studied over 5.2 million blood-lead tests that revealed that an alarming number of children six years of age and under were at risk. The study showed that 2.8% of girls and 3.1% of boys had elevated levels of lead in their bloodstream which exceeded the safe parameter. Children living in some regions of the country are at higher risk of unsafe blood lead levels. Large cities with serious problems with lead exposure include Cincinnati, Ohio, York and Oil City in Pennsylvania, and New York City's including Poughkeepsie, Buffalo, and Syracuse. In all of these communities, children were exposed to exceedingly high lead levels in older housing that still contain old lead-based paint that was phased out the 1970s. 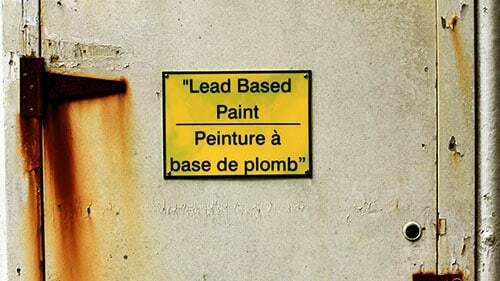 Children and adults are exposed to lead in a variety of settings in the environment. Common ways to be exposed to the toxic substance includes through ingestion, inhalation, drinking water, and when in or around lead-based soil, dust and pain. If you suspect that your child has been exposed to lead, it is critical to have their blood lead levels analyzed by a professional. That said, the medical community and state laws tend to differ on how often every child without lead poisoning symptoms or associated risk factors should be checked. According to the American Academy of Pediatrics, your doctor should discuss with you the potential known risk factors of lead poisoning in your community. Your doctor should inform you that if your child was exposed to lead paint, they might be at risk of harm. Some states provide guidelines on how to test for lead exposure that usually requires the pediatrician to perform lead detecting test on all infants and children below a certain age. Nearly every residential and commercial structure built before 1940 was covered in interior and exterior lead-based paint. These paint products contain as much as 40% of dry lead solids. Since then, paint manufacturers have used titanium oxide to replace the lead pigments that were used to add long-lasting colors in the product. Your doctors will advise you that they can check your child's blood lead levels by taking a blood sample used for toxic screening. One method involves a heel-stick, finger-stick or capillary test where the doctor or nurse will use a sharp needle to gather a few drops of blood from your children's heels and fingers. The capillary test method is far easier to perform at locations other than the hospital, medical center or doctor's office. Alternately, an IV test is difficult outside of a doctor's setting. Medical professionals can test your child at home, school, or nearly anywhere. Unfortunately, the fingerstick/capillary test method has a high failure rate and can produce a false-negative reading more often than not. An IV test produces more conclusive results than a fingerstick test. The method is often referred to as a venous blood draw, where the nurse or doctor uses a needle to extract blood from the child's vein in the arm. However, this method can be more challenging for the medical professional who will have to locate a vein large enough to insert the needle. Additionally, this method tends to be significantly more painful for the child or infant who will likely cry through the entire process. Also, a small particle of airborne lead dust could settle on the child's fingertip and produce positive results even though the toxic lead was never in their bloodstream. Many pediatricians elect to perform the IV (intravenous) blood sample only after a fingerstick reading shows an elevated level of lead in the child's bloodstream. Many worried parents want instant results of a blood test to determine if lead poisoning impacted their child. The fingerstick method and other blood lead testing systems can analyze the blood sample and generate quick results outside the doctor's office. Alternatively, most intravenous blood-lead level samples can take up to a week or longer to get results back from the laboratory. In 2012, the Advisory Committee on Childhood Lead Poisoning Prevention, under the CDC, concluded that there are no safe lead levels in children. Before that, the federal agency determined that ten mcg/dL or higher blood lead levels would require a follow-up screening to identify children who were harmed or at risk. At this level, there should be a significant discussion on how to change the child's environment to move away from the lead exposure. However, the CDC's new conclusions have lowered that “danger level” from ten mcg/dL to five mcg/dL. The reason the Centers for Disease Control and Prevention determined the five mcg/dL was an appropriate measurement is that lead level tests below 5.0 are difficult to interpret. Children and adults who were exposed to elevated levels of lead could experience the devastating effects of the toxin. Some patients face challenges with their red blood cell formation and function or suffer from damage to their peripheral and central nervous systems. Others have kidney problems and behavioral issues. Studies show that infants and fetuses are highly susceptible to toxic lead because of their rapidly developing nervous systems. Children typically have more significant effects from exposure to lead compared to adults through ingestion caused by hand to mouth activities. Additionally, younger children and infants can more readily absorb and retain toxic lead compared to older children and adults, which often leaves them with severe manifestations of symptoms. If you have any reason at all to suspect your child has been exposed to lead, you can visit your doctor and request a blood lead level test to determine the level of your child's exposure. The result of this test will reveal whether you need to take steps to locate lead sources and eliminate potential hazards. Discuss your concerns with your local health department if you are worried about lead dust and lead-based paint if your home was constructed before 1978. Understand that many home renovations in older houses can be harmful to both children and adults. Special precautions should be taken when cutting, sanding, or demolishing parts of the structure that can produce lead chips and dust once the lead-based paint is disturbed. Ensure that only certified renovators with EPA-approved specialty abatement training follow lead-safe work practices before performing any renovation activity to minimize toxic lead exposure. Use a wet mop regularly when cleaning areas in the house with peeling paint or lead-dust or chips on the windowsills and doors. Ensure that everyone entering the home first wipes their feet on an outdoor mat especially if they work where lead is used. To ensure the safe practices to control lead problems, have every visitor and resident remove their shoes before entering. Take away all toys and toy jewelry that has been recalled due to manufacturing and packaging processes that contain lead or are around lead-based products. The CDC has not changed their recommendation that children with blood level test results equal to or higher than 45 mcg/dL should undergo chelation therapy. Private health insurance and Medicaid typically cover these tests and treatments. Proving how lead poisoning caused your child's physical and mental problems is usually more complicated than resolving a traditional premises liability case. Many of the damaging effects of lead exposure are delayed and might not be recognized until many years after the initial exposure. Children seven years and younger are the most susceptible to the severely damaging effects of lead exposure. Even a small amount of lead exposure can block a child's mental development and cause significant problems including learning disabilities, reduced intelligence, unusual behavior, and physical challenges. If your loved one was exposed to toxic levels of lead, their injuries might not be reversible. The premises liability and toxic lead injury attorneys at Rosenfeld Injury Lawyers LLC provide legal assistance to children and adults who have suffered injuries through the exposure of elevated poisonous levels. Our legal team has successfully prosecuted lead poisoning injury cases. We will work aggressively on your behalf to ensure your family receives the fair compensation they deserve. Contact our attorneys today to schedule a free, no-obligation case consultation to discuss the merits of your monetary recovery claim. Our legal team accepts all personal injury case, wrongful death lawsuit, product liability suits and toxic exposure claims through contingency fee agreements. This arrangement postpones the payment of legal services until after we have successfully resolved your case through a jury trial or negotiated out of court settlement. We provide every client a “No Win/No-Fee” Guarantee, meaning if we are unable to secure financial compensation on your behalf you owe us nothing. All information you share with our law office remains confidential.